The Cherry Artspace is open for business! Our multidisciplinary theatre and arts venue is located at 102 Cherry Street on the banks of the Cayuga Inlet in Ithaca’s West End. 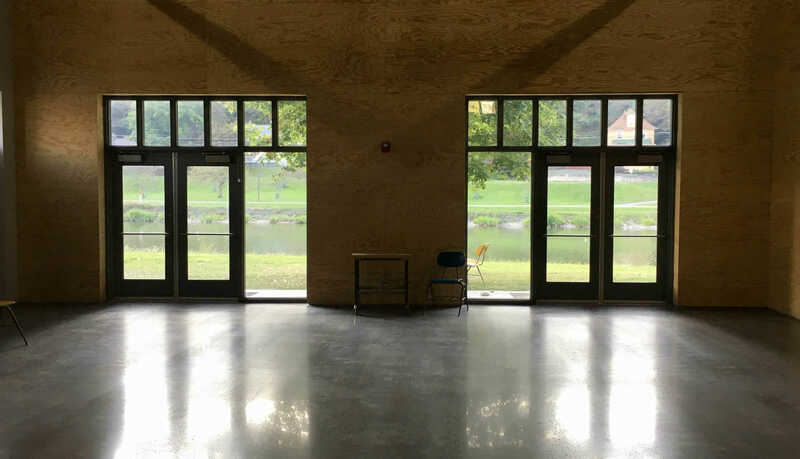 The Cherry Artspace houses the work of our resident company, The Cherry Arts, and provide a home for a number of Ithaca’s excellent arts organizations and for exciting work from outside the area. In addition to theatre, we host concerts, burlesque, dance, and opera performances; art exhibits and installations; film screenings; poetry and book readings; and any form of artistic expression we love. 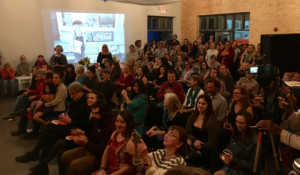 The Artspace is also available to rent for private and corporate events. When you rent the Artspace for your gathering, you will not only enjoy a one-of-a kind venue with a beautiful waterfront view, but also support the work of a wide range of local artists. Please email eventrentals@thecherry.org with rental queries.